NILES – Norma L. Hertel, 93, formerly of South Bend, Indiana passed away Sunday, August 5, 2018 at Woodland Terrance Retirement Home, Niles, Michigan. Norma was born on March 1, 1925 in Streator, Illinois to the late Edward G. Klein and Leota (Ladehoff) Klein. She was a graduate of Riley High School, South Bend. 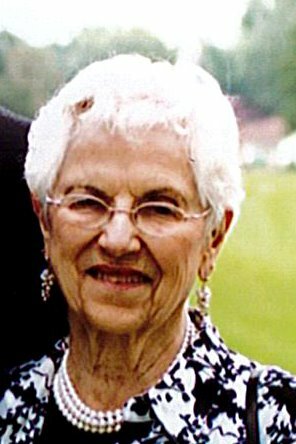 Norma cherished her role as a homemaker and enjoyed working in Real Estate, retiring in 2000. She loved to dance and was a wonderful musician, greatly enjoying playing the piano and the accordion. She also enjoyed sewing and was known as a wonderful seamstress. Norma was a member of the Moose Lodge, the Viking Ski Club, Elks of South Bend, and the MBA Bike Club. She was a member of Southlawn United Methodist Church, South Bend. On June 3, 1949, in South Bend, she was united in marriage to Paul “Bud” Hertel, Jr., who has preceded her in death on October 17, 2015. They were married for 66 years. Norma is survived by her daughter, Karen S. (Dave) Johnson of Melbourne, Fl; sons, Danny P. Hertel of Osceola, IN and Scott E. (Kathy) of Granger, IN; grandchildren, Jacqui (Izzy) Woodard, Matthew (Melissa) Hertel, Jason (Amanda) Hertel, Andrew (Maeve) Hertel, Kyle Hertel, Shanna Hertel, Alyssa Hertel, and Adam (Mary) Hertel; and 11 great grandchildren. She is also survived by her sister, Donna McIndoe of Niles, MI and Robert Klein of Gulf Breeze, FL. Funeral Services for Norma will be at 11:00 AM Wednesday, August 8, 2018 at Palmer Funeral Home Guisinger Chapel, 3718 S. Michigan Street, South Bend, IN 46614 with Pastor Larry Chrisman of Southlawn United Methodist officiating. Graveside service will follow at Southlawn Cemetery, South Bend. Friends may visit with the family on Tuesday, August 7, 2018 from 4:00 PM till 8:00 PM, and one hour prior to services on Wednesday at the funeral home. Memorial contribution may be given to the Center for Hospice Care, 501 Comfort Place, Mishawaka, IN 46545 or to the Alzheimer’s and Dementia Services of Northern Indiana, 922 E. Colfax Ave., South Bend, IN 46617. Online condolences may be expressed to the family at www.palmerfuneralhomes.com.